Poets and Artists Worldwide Unite for Peace, Sustainability and Justice. a 501(c)(3) Non- Profit Organization. A 2nd Cup is a non-profit coffee shop dedicated to the fight against human trafficking. A high-fashion calendar with 100 percent of proceeds donated to charity. A.L.A.Y.A is a charitable, tax-exempt, 501© (3) organization, is a broad-based community outreach organization that is dedicated in promoting empowerment to women, men and children. This is done by equipping them to achieve leadership skills through support services, personal growth classes and workshops. This allows them to become self-sufficient. 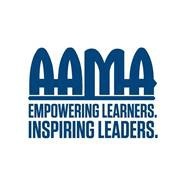 This is unlocking the potential of effective leaders. A4H Group Inc. 501(c)3 non-profit organization. A creative outreach connecting art, healthcare and the community together. It's where art finds a purpose ….. To learn more on how art heals and saves lives, visit a-4-h.org. The mission of AVDA is to provide direct services to families victimized by domestic violence by providing legal representation, education, and battering intervention programs. Aimed Dance: INFORM, ENGAGE, INSPIRE a diverse audience of all ages through innovative performing arts programming. 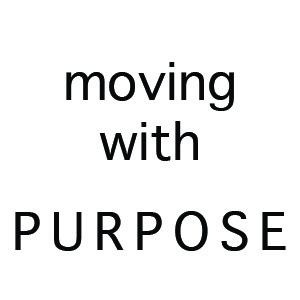 Founded in 2006 by Artistic Director, Amy Llanes, Rednerrus Feil Dance Company (now AIMED Dance) strives to produce high quality performance art based on emotive life experiences. We delight in exploring how the meaning of movement can reveal the personal nature of our own histories. This highly unique creative process involves not only an emotional investment, but often requires time, exploration, and impeccable communication among the collaborators to develop the work and create the desired statement. In April 2010 Air Alliance Houston was formed from the organizations Galveston-Houston Association for Smog Prevention (GHASP) and Mothers for Clean Air (MfCA), the completion of a nearly two year process starting in September 2008 when GHASP and MfCA joined together under the direction of one board and one executive director. Our combined mission expanded and strengthened: to reduce air pollution in the Houston region to protect public health and environmental integrity through research, education and advocacy. The previous activities of GHASP and MfCA fit together like pieces in a puzzle to form the core of Air Alliance Houston, whose goal remains the same: to influence public policy on air quality and environmental health issues in order to protect the health of residents and improve their quality of life. The organization maintains its solid reputation for environmental and policy expertise, monitoring environmental agency performance and flagging shortcomings. When all else fails, we will use litigation to compel agencies to enforce the law. Air Alliance Houston provides technical expertise to our nonprofit allies and to local and state leaders. We participate in regulatory and legislative processes, testify at hearings and comment on proposals. We reach out to the community to educate them about local air pollution issues as well as state and federal policy in order to bring broad grassroots pressure to bear on polluters and regulators. We are still focused on the adverse effects of Houston area air pollution, particularly on children’s health. We continue to develop community programs to address environmental justice issues and to educate children and adults in local communities about air quality issues and prevention of exposure. We educate communities with plays, film, and interactive theater, in particular Ozone Theater, which teaches young students about air pollution—its sources, effects on health and what they can do about it. As a unified effort working with such groups such as Industry Professionals for Clean Air (IPCA), T.E.J.A.S., Environmental Defense Fund, Environmental Integrity Project, Environment Texas, Public Citizen and Sierra Club-Lone Star Chapter, we are capable of developing and providing comprehensive public policy review and opinions on air quality issues. We have a network of support and collaboration—the combined expertise of board members, existing institutions such as the local school districts, the city and county—which allows our organization to be the primary leader for clean air advocacy in the Houston region. The AllPeopleBeHappy foundation seeks to build a world in which all people can be happy by attacking poverty as a primary cause of unhappiness. The foundation supports new and innovative efforts to combat poverty in the developing world. AllPeopleBeHappy foundation is a 501(c)(3) tax-exempt organization. 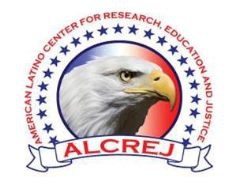 American Latino Center for Research, Education & Justice (ALCREJ) is a 501c3 non-profit organization providing opportunities for low income children and families. ALCREJ's mission is to advance the American Latino Experience through a comprehensive approach of education, cultural arts, justice and economic development. ALCREJ's vision is to work with children and families of under-served communities so that they will have equal opportunity for realizing their full potential and living the American dream. ALCREJ is committed to the betterment of the Latino community by creating opportunities for our new generation. 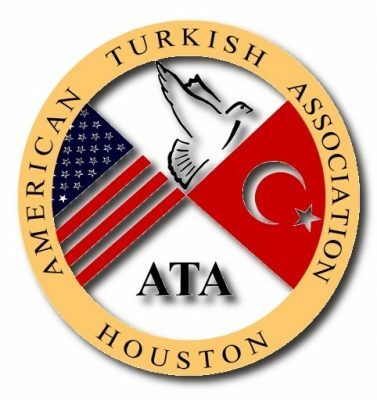 The American Turkish Association (ATA), founded in 1979, is a non-profit organization created to promote better understanding and friendship between the people of the United States and Turkey through social, educational, cultural and charitable activities. It also aims to provide assistance to Turkish citizens living in Houston. The conference where the women of Houston inspire the women of Houston. The Annual Women’s Empowerment Conference is a non-profit organization reflecting the beliefs of the women living, growing and thriving in and around the Houston community. Our mission at The Women’s Empowerment Conference is to empower and equip the women of Houston with the tools needed to achieve all of their personal, professional and family goals. Aperio presents rarely performed chamber music of the Americas through subscription concerts, community and educational outreach. 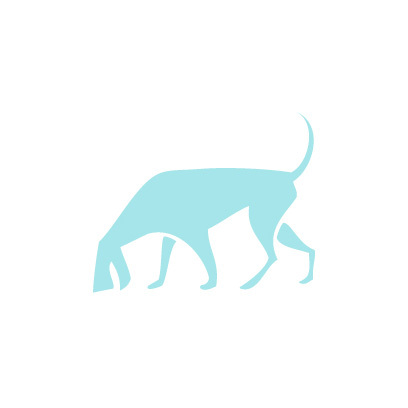 APERIO is a 501(c)(3) non-profit organization that presents unusual and rarely performed chamber music by contemporary composers from the Americas. The organization provides lively and thought-provoking concerts, educational opportunities and outreach programs to Houston’s diverse performing and visual arts audiences. By emphasizing the works of Latin and Anglo-American composers, APERIO illuminates the rich musical heritage of South and North America. Drawing from many indigenous and foreign cultures, the multicultural programming provides artistic, social and political contexts for the compositions from the New World. Through its interactive and explanatory format, locally and nationally recognized musicians draw parallels to other visual, literary and performing art forms. 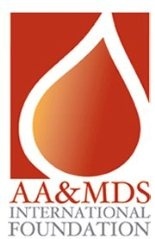 The Aplastic Anemia & MDS International Foundation (AA&MDSIF) is the world's leading nonprofit health organization dedicated to supporting patients and families living with aplastic anemia, myelodysplastic syndromes (MDS), paroxysmal nocturnal hemoglobinuria (PNH), and related bone marrow failure diseases. AA&MDSIF provides answers, support and hope to thousands of patients and their families around the world. Over the past 27 years, AA&MDSIF has provided almost 3 million dollars in financial awards to nearly 50 researchers for investigation that leads to new insights into the causes and treatment of bone marrow failure disease and the development of new therapeutic approaches. One of those research project is the MDS Clinical Research Consortium. on part of which is housed at the MDS Anderson Canter Center and led by Dr. Guillermo Garcia-Manero. Arms of Hope is a 501(c)(3) not-for-profit Christian organization focused on assisting and extending a loving hand to some of the most disadvantaged children and single-mother families in our culture by providing shelter, necessities and life skills at their greatest point of need.Arms of Hope changes the lives of children and families in crisis. 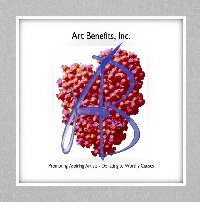 Art Benefits, Inc. is a non-profit corporation dedicated to promoting local, aspiring artists through charity art shows that benefit well established, reputable, nationally recognized and local charities that have a proven track record of transparency and fiscal excellence. We see art as a visual expression of emotion that touches the mind, soul and heart and believes it is important to celebrate creativity and to support and promote our art community’s rising stars. Art Benefits’ approach is to focus first on the artists and their success. We do not require a participation fee of the artists, and they receive all revenue from the sale of their individual work. Each show features a collaboration piece. Art Benefits supplies the medium and theme – the artists do the rest. We solicit donations of services and funds required to cover event expenses and sell admission tickets to the art exhibition. Proceeds from ticket sales are donated to that event’s sponsored charity. Art Movement is a non profit organization dedicated to promote art in the Houston community. Its art gallery inside Memorial City Mall includes works of art from local school art students to world renowned artists. We don’t have to wear a suit to show you the value of our art. Art Works For Change is a nonprofit organization that creates contemporary art exhibitions to address critical social and environmental issues. Our museum-quality exhibitions are hosted by fine art institutions all over the world, and feature artists whose work promotes awareness, provokes dialogue and inspires action.